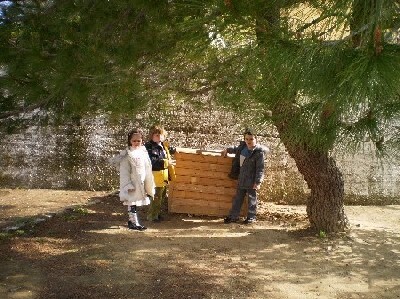 COMME NOS AMIS FRANCAIS NOUS A EXPLIQUER, ON A CONSTRUIT DANS LE JARDIN DE NOTRE ECOLE UNE BOITE DE COMPOSTE. ON A D'IMPATIENCE!!! !